Before I get to the letter, I should let you know, I don’t hate the Koch brothers like many readers do. I have worked with some of the organizations they support, like Americans for Prosperity (I worked with them to oppose government funding of sports stadiums, which benefit well connected rich sport fans but hurt everyone else) and several other projects, including criminal justice reform. Admittedly, I do also hate some of the actions that they have been accused of, like spreading misinformation on electric vehicles (EVs). What if there was an opportunity to get a powerful and motivated group like this to help with the transition to EVs and renewable energy instead of impeding progress? Well, maybe it is easier to get pigs to fly, but I’m willing to give it a shot. So, this isn’t a hit piece on the Koch brothers, and if you want that, you will have to find someone else to write it. I’m writing on a win–win opportunity for them to make more money, while providing value to society. An added benefit is this plan doesn’t really need any laws changed — they just need to decide to do it (and it takes a huge amount of hard work, of course). What Makes Me Think They Will Listen? Well, I’ll admit it is a long shot, but I grew up in the Midwest, have a background investing in the oil industry, speak their Libertarian language, and can describe the plan in language that fits into their mental model. It is very hard for Libertarians to accept that electric vehicles and renewable energy are superior. All the articles you read in either conservative or Libertarian magazines, on Facebook, on Twitter, and all the shows you watch on TV say the same thing: electric vehicles have no advantages and will never work. If you could ever get them to work, they would be worse for the environment anyway. So, don’t even think about buying them. So, why do environmental advocates like EVs so much? They love the subsidies. They love the $7,500 tax credit, the ZEV credits in some states, and the low-interest loans that Obama gave to many companies (including Tesla) many years ago. The Kochs believe in the free market, and since EVs “could never survive without government assistance,” they don’t want to play in that industry. But what if that underlying assumption is false? What if EVs could survive in a free market? What possible reason would the Kochs have against them then? They could think they aren’t well suited to the Kochs’ current portfolio of investments, but they know they can change future investments starting today. The Koch brothers could save billions in stranded assets that won’t have value in two possible future scenarios. EVs just win based on physics and free market economics as described below. Governments around the world outlaw the sale of gas and diesel cars because they fear pollution and/or climate change. As I explained in this article, EVs are as much as 3 to 10 times less costly to run as gas cars per mile. There are two parts to the efficiency advantage that EVs have over gas cars. Part 1 is that electric motors are much more efficient at converting electricity into motion than gasoline engines, which convert much of the energy into heat, vibration, and sound. The US Department of Energy notes, “EVs convert about 59–62% of the electrical energy from the grid to power at the wheels. Conventional gasoline vehicles only convert about 17%–21% of the energy stored in gasoline to power at the wheels.” This is because gas cars waste a good amount of their fuel on heat, sound, and vibration. There are many more ways to make electricity than to make gasoline, so it gives the free market a way to take advantage of regional differences that gas cars can’t use. If you live in Arizona and have fabulous solar resources that give you the opportunity to charge your EV cheaply, you can do that! Likewise, if you are by a hydroelectric plant with low costs, you can be powered by that source of electricity. 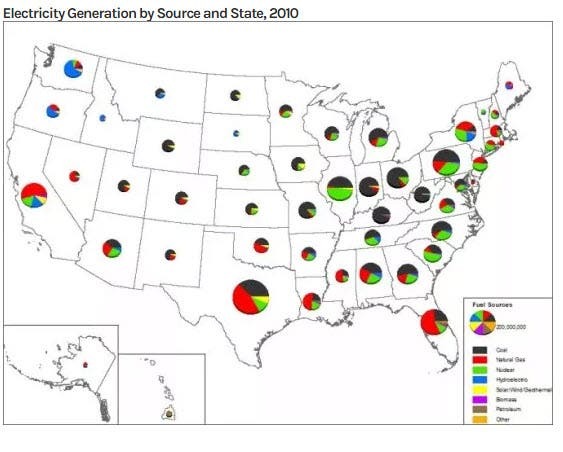 This article on generation by state is old, but the concept of different generation sources make sense in different states based on the solar resources, wind resources, gas resources, and the political preferences of the people in the state. People with gas cars are stuck with the market price of gasoline, since it is relatively transportable, so price mainly varies by taxation levels. Those who own EVs can take advantages of technology advances in any energy technology, whether that is solar, wind, or natural gas. 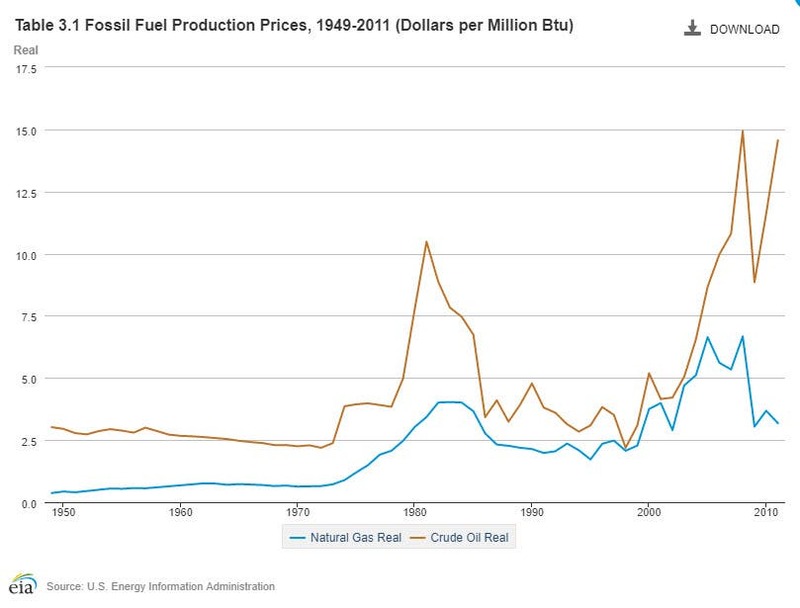 That said, the price of fossil fuels has been relatively constant over the last 50 years while the prices of solar and wind have gone down exponentially, like semiconductor prices, but less dramatically. Also see this Lazard chart. 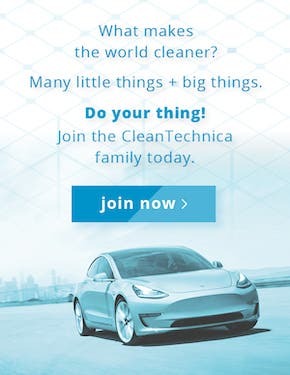 After looking at those graphs, is there any doubt that, in the long run, you want to have the option to use wind and solar power to run your car? Otherwise, you can’t jump on the dropping cost curve they offer — you are stuck on the increasing graph of gas and oil. So, Why Isn’t Everyone Buying EVs? EVs have several disadvantages, which I covered in this article. But they are all going away in the next couple of years. There aren’t any good trucks or SUVs that are affordable EVs. True, Tesla, Hyundai, VW, and many others are coming out with affordable SUVs in the next couple of years, but they aren’t here yet. Affordable trucks might take a little longer. Range anxiety is a function of small batteries and/or not enough charging stations. Affordable EVs used to all have a range lower than 100 miles (I drove a 2012 Nissan Leaf for 7 years). Almost everything announced today has 200 to 400 miles of range. This is still less than the 400 to 500 miles of range many gas cars have, but it has gone from a major issue (I never took my Leaf more than 40 miles from my house) to a minor one. For example, I love to drive my Tesla Model 3 with Autopilot for medium-length trips of 200 to 400 miles, but still prefer to fly for trips longer than 400 miles. That isn’t a function of EV vs. gas car, but because I can read on a plane and not in a car while driving. If and when full self-driving comes, that will change whether I will take a car or plane on longer trips. I will probably just sleep in the back of the car and wake up at my destination, ~8 hours later. Even with the huge rollouts of chargers by Tesla, ChargePoint, and Electrify America, it will still be slightly harder to find a charging station than a gas station for some time, but that is an issue that has gone from a major issue to a minor one. The number of gas stations continues to drop every year. In a few more years, it could be easier to find an EV charging station than a gas station. The trends are clear. Charging speed is a related issue. You can add about 500 miles of range to a gas car in about 5 minutes. An EV won’t hold 500 miles of range, but even if it did, it would take a couple of hours to add that much range. With the faster chargers coming from all players this year, we are expecting to see charging rates maybe double this year to allow rates of about 175kWh, which if you get about 4 miles per kWh would be 700 miles per hour. For the 200 miles I prefer between breaks, that would be about a 15 or 20 minute stop. That is about the amount of time it takes to take a restroom break and find a drink and a snack, so I’m not going to be waiting on the car. A huge advantage of EVs is the at-home charging, and you can leave the car charging when at a station. With a gas car, you are not allowed to leave the car or use your cell phone (I know people do) while waiting for your tank to fill. I’ll call this issue a wash. Affordability of buying an EV. I have written a lot about the cost of ownership of the Model 3, which really took the US by storm last year as the first EV that had mainstream supply and demand. It is expected to have the same impact globally in 2019. Since gas is more expensive almost everywhere in the world than in the US, it’s expected that the Model 3 will stack up even better in Europe and Asia than it does in the US. When the $35,000 model is released, the demand will reach a whole new level. The other issue is there aren’t affordable used EVs with long-range batteries. That will just take a few years for the models being sold today to come up in the used market. People love their EVs, but they eventually will find a new one to buy and sell their old one. Risk aversion. EVs aren’t yet the “safe choice” for those who don’t like technology. 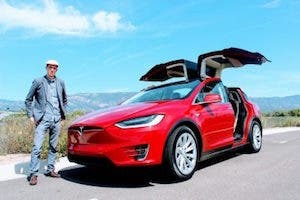 Tesla’s in particular have a lot of fancy features that might scare away a certain type of buyer, but as VW, Hyundai, Nissan, and others design EVs, some of them will be regular enough for the risk averse buyer. I’m not sure if the Kona EV or the new Leaf quite meet this standard or not. 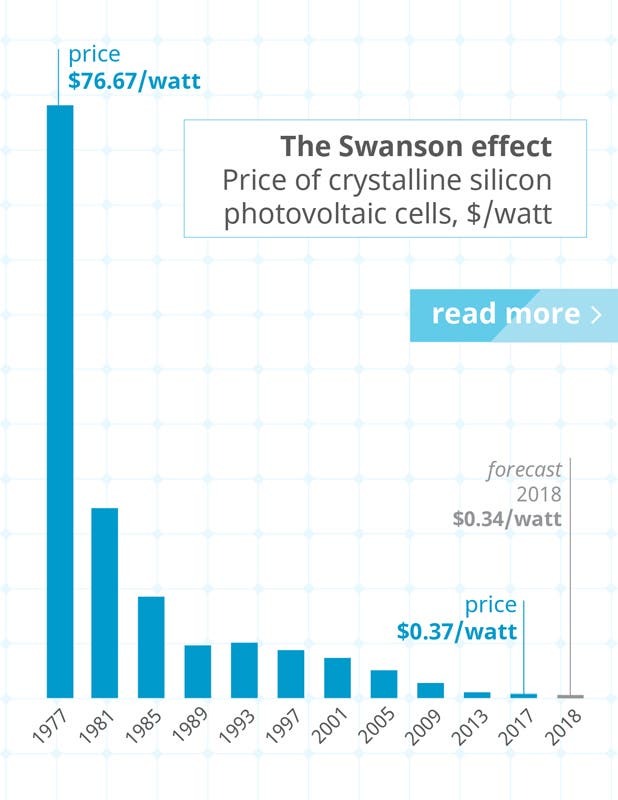 So, with electricity costs dropping like a rock and the disadvantages going away as we speak, it is obvious that there will be a lot of growth in electric vehicles in the next few years. Let’s switch our focus on how Koch would be hurt or helped by this. They have 7 plants that convert corn to ethanol, which makes them the 5th biggest ethanol producer in the United States. They also run a plant that converts corn oil to biodeisel. Those who say the Koch brothers just support legislation to increase their wealth should take notice that they oppose regulation that would help Koch Industries at the expense of consumers. I find that a very noble and principled stand. Their electronic components division makes parts for home appliances, cell phones, cars, and data networks. Their glass division makes glass for homes, cars, appliances, and buildings. Their Stainmaster brand in flooring is well known and is a leader in carpet, tile, grout and vinyl. Their agronomic division works to create plant nutrients to feed crops. Their fabric division supplies rugged fabric to our military, first responders, and law enforcement. Their smart LED lighting technology is used for indoor farming, supplying the booming cannabis industry and vegetable greenhouses. Their Georgia Pacific brand is well known for supplying plywood, drywall, and other building products. They own 460,000 acres of ranch land used for cattle. They work with the auto industry to improve fuel economy by selling adjustable vents that allow the cars to only take in air when needed. Their medical technology division makes surgical instruments and infusion pumps to help save lives. Their enMotion brand of towel dispensers lower contamination risks and reduce towel usage by 30%. Their Dixie brand paper products help busy families save a little time washing dishes. Their industrial filter division helps ensure the quality of beverages and industrial chemicals. Their asphalt products division helps make the roads. Their Dacron brand is used to make pillows, comforters, and mattress pads. Unfortunately, they didn’t include all their businesses in that list, so I went to their list of companies to find what else they do. They have an internal bank. They run Flint Hills Resources LP, a major oil refining and chemicals company and pipeline company. They run Koch Minerals, which is involved in oil and gas exploration and production. They operate the Koch Pipeline Company that operates over 4,000 miles of pipelines that transport oil, natural gas liquids, and chemicals across the Midwest, Texas, Louisiana, and Alberta, Canada. Koch Supply and Trading trades oil, gas, renewables, emissions, and metals. It includes Koch shipping that manages the transport of oil and chemicals. From their description of “what they do,” they have many great products that help people live better lives. 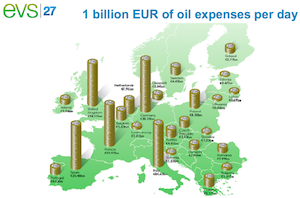 They don’t list any oil or gas interests, but they clearly have those interests. Why would they not highlight that? I’m sure some consultant recommended they don’t highlight that part of their business, but that was poor advice. It is easy to find and then it appears you are trying to hide something. I would recommend they highlight their oil and gas businesses and how they improve people’s lives. If they have trouble figuring out what to say, maybe that is a signal they should think about divesting from that area. Although I see several issues with products like Dixie paper products and their cattle company from the increased popularity of using reusable plates and eating vegetarian, I’m going to focus on their investments in oil, gas, and ethanol. This epic article on the doom of fossil fuel investments from a fossil fuel investor (like myself and Koch Industries) lays out the risks to the oil and gas industries better than I could and I highly recommend you read it. It isn’t written by someone that hates the oil industry, but by someone who has a deep appreciation of the good things the oil industry has done to improve our lives. His conclusion is that people will move to EVs for the same reasons I stated above and the demand for gas and diesel (which is about 60% of the demand for oil) will drop fairly quickly. All this extra load on the grid will be supplied by cheap solar, wind, and natural gas. Natural gas demand won’t go down as fast as oil demand, since it is a flexible fuel that is cleaner than coal. So natural gas will last longer, but demand for it will also drop as the relentless economic progress in battery storage makes it a better way of supplying electricity on calm nights. What about ethanol? The referred article doesn’t address ethanol, but this article does. If the price of oil stays low and the price of corn stays stable, ethanol becomes noncompetitive on price. There is no longer any desire to use ethanol because it is domestic, since the oil and electricity replacing it are also domestic. It does offer minor environmental benefits over oil, but the market won’t use expensive ethanol just for those benefits. If someone is looking for low-carbon fuel, they will use solar- or wind-based electricity. If they are looking for the lowest cost source of fuel, they will also use solar- or wind-based electricity. Even the EIA, which has a history of underestimating future solar and wind capacity additions, predicts a majority of the US generation capacity will be solar and wind. 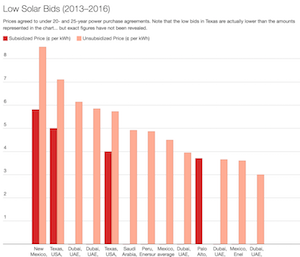 Why do utilities buy so much solar and wind, because it is the lowest cost way to generate electricity, even if it is challenging to deal with the intermittent nature of solar and wind generation. Koch Industries should consider using its considerable engineering talent to investigate opportunities to become a supplier to the rapidly expanding battery industry in the US and around the globe. They have a mining operation that could help expand production of components of the battery. Alternatively, they could find other opportunities to employ their talent or lay off their employees to find work in other growing industries like wind and solar. I noticed a high number of the locations are in the Midwest wind belt, so there may also be opportunities to use their talent to lower the cost of building or maintaining wind farms. Koch Industries will need to wind down their oil refining business as demand for oil and gas drops, but it is likely the engineering talent they have can assist in producing some of the many chemicals needed in batteries. There is tremendous growth needed in EV batteries to support the transition and Koch can either lead, follow, or get out to the way (as Chrysler executive Lee Iacocca said). It is too late to lead, but they could certainly follow and make more money than if they just get out of the way. There is no logical purpose for Koch Industries to fight the move from gas and diesel transportation to EVs. It is not in their power to stop the transition. They can only slow it, and if they continue on their present path, I fear it will soon be too late for them to pivot to newer technologies. 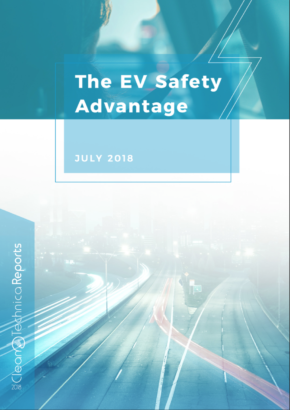 The technology has proven itself to be superior even in the absence of environmental concerns, but with many people increasingly concerned with the environment, the move to EVs is sure to accelerate now that many more vehicles are available without the major disadvantages EVs had just a few years ago.